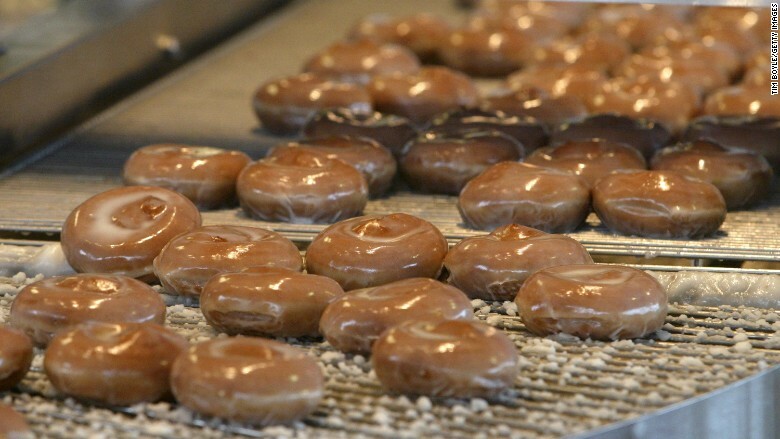 Krispy Kremers are about to double their order for a third consecutive year. Customers who buy a dozen donuts at Krispy Kreme on Saturday will receive a dozen glazed donuts for free. Saturday is December 12, or 12/12. The giveaway is part of the company's "Day of the Dozens" promotion. Donut lovers who want to take advantage of the deal can get the coupon through the Krispy Kreme (KKD) mobile app. Or they can go old school and present a printed copy to the store. Donut fans appeared to be looking forward to the promotion. "On 12/12 is @krispykreme's #DayOfTheDozens which might be the happiest day of my life," said Twitter user @Jordan_Coker.